An in-house laboratory means we can diagnose trouble more accurately and treat your pets more quickly. 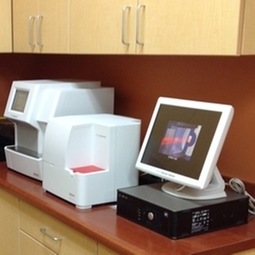 We don't have to wait for an outside laboratory to process blood work. We have the capabilities at the tips of our fingers to analyze what is going on with your pet and then formulate a treatment plan. It all adds up to high-quality veterinary care that we can provide on the spot!